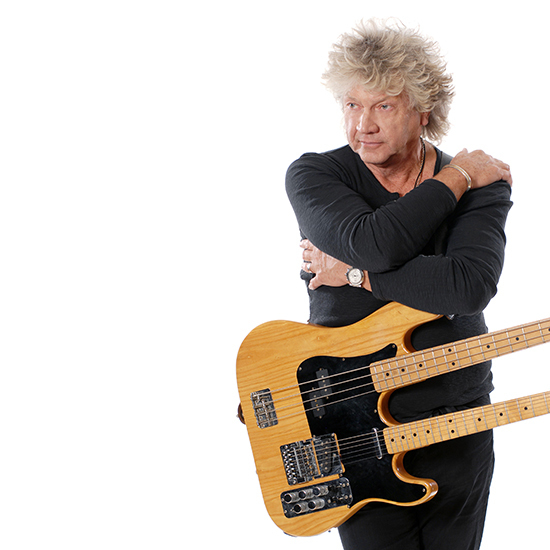 This was almost a family homecoming concert for musical legend John Lodge as he embarks on his first ever solo tour. 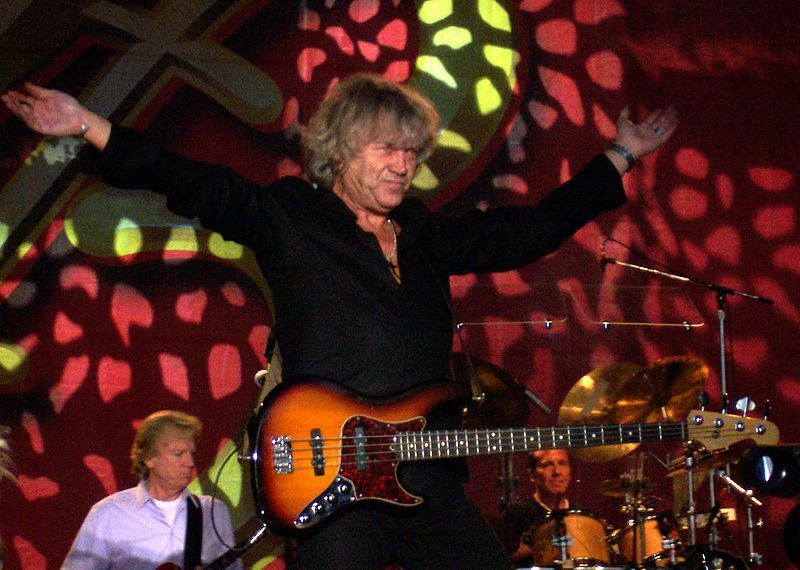 John swopped the previous big stadiums he regularly performed in as bass guitarist with The Moody Blues for the more intimate surroundings of the Lichfield Garrick theatre as he took to the live stage on his 10,000 Light Years Ago tour. As a member of Birmingham band The Moody Blues, John sold millions of records and travelled to the four corners of the planet performing in the biggest musical venues around the world. But the Brummie-born lad was back in his native Midlands for this Lichfield show on Saturday 10 September, and to make the occasion complete he announced that his daughter Emily was in the audience. John was backed by the excellent 10,000 Light Years Band, so named because he released his solo album, 10,000 Light Years Ago, in 2015 which saw him reunited with Moody Blues bandmates Ray Thomas and Mike Pinder. Together with his five-piece band, including Alan Hewitt on keyboards and Norda Mullen on flute and backing vocals, John performed classic Moodies songs, together with some he hadn't previously played before, as well as tracks from his past solo albums. He opened with one of those lesser-performed Moodies tracks, namely Stepping In A Slide Zone from the 1978 album Octave, before treating his enthusiastic audience to In My Mind from his recent release, 10,000 Light Years Ago. The mix continued throughout, with Moody Blues tracks from Days Of Future Passed,Long Distance Voyager and Keys To The Kingdom intermingled with more recent solo releases, including Simply Magic, written about his new grandson, and Get Me Out Of Here from the 10,000 Light Years Ago album. 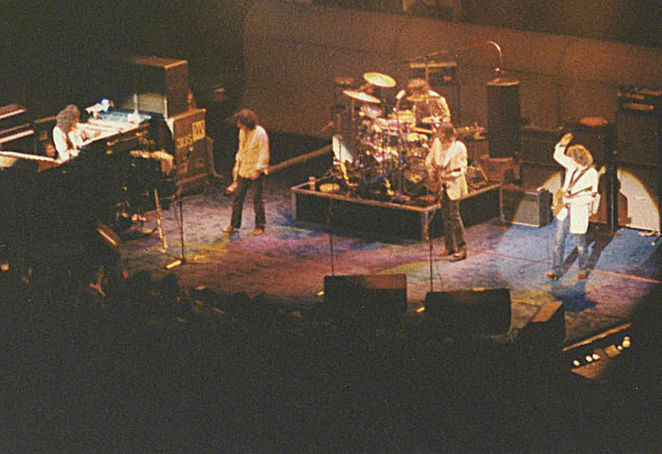 But it was the finale that his fans clearly wanted to hear, for the excitement went up a notch as John launched into classic Moody Blues songs, Isn't Life Strange, I'm just a Singer in a Rock 'n' Roll Band, and Ride My Seesaw which he kept back for his well-deserved encore. After completing his current solo UK tour, John is apparently planning to rejoin The Moody Blues for a US tour starting in October 2016.